I caught the last half of “Ma’iingan, Brother Wolf” on Wisconsin Public Television Monday night. The Ojibwe Indians who spoke reminded me of the Indians I met at a wolf hearing years ago in northern Wisconsin. They spoke calmly and lovingly of their Brother Wolf and their common destiny. I thought of the genocide of American Indians that the Europeans inflicted in clearing North America under “Manifest Destiny.” I thought of the last third of wildlife left on the planet, which is under continuing assault. The film focuses on the many ways that wolves are so much like the Indian tribes — their love and care of each other and the care of the entire pack for their pups. Their lack of aggression to humans. Their retreat to the little remaining wilderness to take care of their own. The lack of understanding by humans of their integrity, right to exist, and important role in balancing man’s imbalance. According to Anishinaabe indigenous people, who include the Ojibwe tribes, they walked with wolves until the Great Creator decided they would part paths. They were told they would always be brothers and that what happens to the wolf will happen to the Anishinaabe. If they are persecuted, so are the Indians. If they are thriving, so are the tribes. They are family, tied to each other in mutual responsibility and destiny. The seven fires are the seven Anishinaabe prophecies. The Anishinaabe believe we are in the seventh fire, a time of great peril. “It is at this time that the light skinned race will be given a choice between two roads. If they choose the right road, then the seventh fire will light the eighth and final fire, an eternal fire of peace, love, brotherhood and sisterhood. If the light skinned race make the wrong choice of roads, then the destruction they brought with them in coming to this country will come back to them and cause much suffering and death to all the Earth’s people. We know what path has been chosen by the prevailing light-skinned political structure — the hard path of devastation of living systems in pursuit of money and power. Luckily, unlike humans, wolves live in harmony with the natural world and have no vested ego in hoarding other beings for profit or killing for a false sense of power. Wolves and other natural predators are on the front lines of disease control both for wildlife and humans. “During the past 16 years, the trend in prevalence (of chronic wasting disease) in adult males has risen from 8-10 percent close to 35 percent and in adult females from about 3-4 percent to over 15 percent.” (CWD prevalence in Wisconsin, DNR). “While I don’t think any of us large carnivore proponents are saying that wolf predation will prevent CWD, or totally eliminate it from infected herds, it is ecologically irresponsible to not consider the very real possibility that wolves can slow the spread of CWD and reduce its prevalence in infected herds.” — biologist Gary Wolfe, wildlife commissioner and former CEO/president of the Rocky Mountain Elk Foundation. Seeking a picture of Brother Wolf, I found a recent Anchorage Daily News story written by Ned Rozell and titled “The Riley Creek Pack’s Sole Survivor.” Riley, (#1202) born in Denali in 2009, started her own pack by breeding with a male named Midnight (#1406), and by 2017 had grown the Riley Creek Pack to 17 wolves. 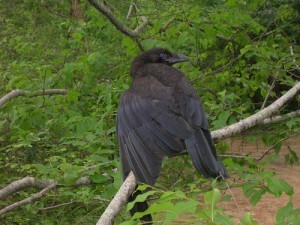 In January 2018, Midnight was killed on a trap line outside of the park. 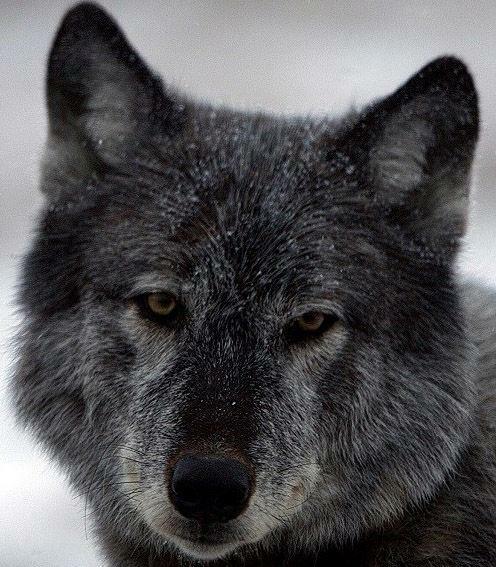 By the end of February the pack had been killed down to seven or fewer wolves. In the summer of 2018 Riley was caught on trail camera with four pups playing. By August she was sighted without pups. There were four wolves left, and then there was just Riley, limping along in the snow alone. Riley nurtured her pack for nine years and they were all dead, save her, in just a year. Going into the Wisconsin state Capitol to see a dead taxidermied bear in the office of Sen. Tom Tiffany, R-Hazelhurst, who heads the “sporting heritage” committee, I realize that dead bear epitomizes what this state has become in wildlife destruction. It is a state of death and organized lovelessness. The Trump administration has renewed efforts to undo Endangered Species protection of all wolves in the United States. The Center for Biological Diversity called the proposal “a death sentence for gray wolves across the country,” because it would open the animals to public hunting. Please contact your federal legislators. Sign the petition to Sen. Tammy Baldwin: No more anti-wolf riders or legislation weakening the Endangered Species Act. Wisconsin and Minnesota residents are invited to submit images celebrating the beauty and promoting coexistence with wild carnivores: coyote, gray wolf, bobcat, red fox, gray fox. Replace killing contests with photography contests. Support the Northern Rockies Ecosystem Protection Act. NREPA would protect all the all remaining road-less lands and 1800 miles of wild rivers in the Northern Rockies by designation under the 1964 Wilderness Act. This column was originally published in the Madison CapTimes on March 10, 2019.